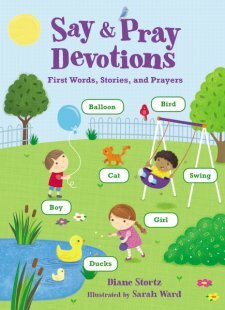 Say & Pray Devotions features short devotions and lots of labeled illustrations so your little one can practice identifying objects and words on their own! This book is a great tool to start a devotional time with little ones, as it will help you teach them about God, and the labeled pictures will help start a life of faith. This is a nice complement to the bestselling Say & Pray Bible. When I tuck my little one in for a nap, I tend to stall. Searching around the room, I'll point out objects, say their names, and see if he can repeat it. I imagine this is normal behavior of a mom with a toddler. I also imagine that it's normal when I squeal with delight when I see that he is catching on and learning. 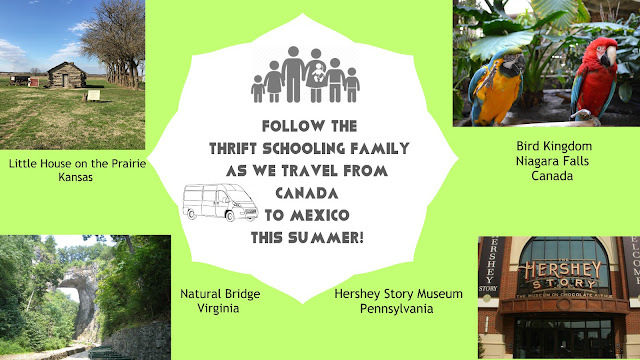 What parent doesn't love to see their child learning? The Say & Pray Devotion Book is a perfect opportunity for parents to sit down with their pre-readers and get them excited about the world around them. With sweet poems and inviting prayers, young ones are encouraged to interact with the pictures as they are read to. These colorful pictures and easy text provide a perfect opportunity to share simple points about the world around them within a biblical context. I highly recommend this book. Disclaimer: Thanks to Book Look Bloggers for a copy of this book to review. All thoughts expressed here are my own.